With all the turmoil in the financial markets - and large financial institutions being bought out or failing - you might wonder about the safety of your money. Luckily, most normal deposits are covered by the Federal Deposit Insurance Corporation (FDIC). But if you are still apprehensive, I found a site that rates the relative financial strength and stability of U.S. commercial banks, savings institutions and credit unions. 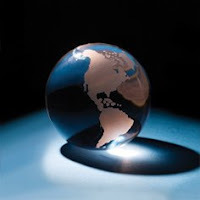 The financial problems of 2008 will surely reverberate throughout the entire globe. Some areas will be affected more than others, however. Here is a slide show from Business Week that features the top twenty communities in the U.S. that have the most to lose in a large financial downturn. New York and Connecticut are rather obvious, but there are some in the nation's heartland that may surprise you. Here's an interesting interview examining energy policy and greenhouse emissions. After nearly 30 years at Caltech as a professor of theoretical physics and, eventually, provost, Steven Koonin took a leave of absence in 2004 to become BP's chief scientist. After a year of study, he recommended a strategy for the company that has included investments in unconventional sources of oil as well as renewable energies such as solar. TR: What's the best way to reduce gas consumption? SK: Raising the price of driving is the simplest way to induce conservation and efficiency. 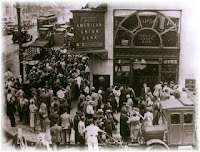 Look at how much response we saw when the price of gasoline went up to $4.50 a gallon. We've seen it work over the last year. But raising gas prices is very difficult politically to do. In fact, you see the candidates going in the opposite direction. The prices for gas and for carbon need to be high enough to make some difference, so that means there will be some pain. And it needs to be stable enough so that people can make long-term investments for deploying alternative technologies. TR: So the markets aren't going to solve these problems? SK: Left to its own devices, the market will not price the externality of carbon dioxide, nor will it effectively deal with the security-of-supply problem. I think [that's] because it's longer term, and the markets have a shorter-term focus. I think markets are good for tactical allocation, but it's not obvious to me that they're the right thing for strategic allocation [or] longer-term planning. Here's a website that gives you simple, easy to implement tips that can save you hundreds of dollars per year on fuel costs. There is not much that isn't covered on my first post, at cleanmpg.com, or other Hypermiling venues; but it has a slick interface, and you might learn something new. 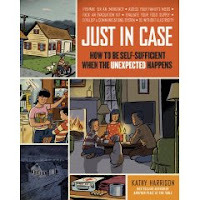 Just In Case: How to be Self-Sufficient When the Unexpected Happens. Kathy Harrison. Highly Recommended. I happened upon this book in the 'New Release' section of the library, and it seemed to good to pass up. September is National Preparedness Month, you know. Many of the self-sufficiency books I have reviewed describe a lifestyle that is not practical for the ordinary citizen in the 21st century. For better or worse, most people are not going to leave the suburbs and set up a 5 acre homestead where they can provide nearly everything they need. Unfortunately, for those of us remaining in the city and 'burbs, unexpected events could disrupt the fragile web of support that we currently enjoy. Obviously, we can all name big events that have affected large segments of the population: 9-11, Katrina, California's earthquakes & wildfires, etc. Even smaller localized events, like floods, thunderstorms and heavy snow can leave people to survive for several days without power, heat and/or shelter. Would you be ready for a 3 day outage? How about 3 weeks? It would seem that the network of modernity on which we rely is only becoming more fragile; and large natural disasters, terrorism, or pandemics could easily affect large portions of our nation in the future. As I read the opening chapter, I quickly realized that I was fairly unprepared for any type of outage of basic service. As I read on, however, the author presented information that will help anyone get ready - just in case. The first section lays out the author's OAR system for staying prepared. Organize, Acquire and Rotate are each integral tenets to ensuring everything is ready in a time of crisis. The book has many tips for maintaining efficiency in each of these categories. Part Two covers Preparedness, which consists of putting the OAR system into practice. Getting yourself, home, kids, pets and car prepared are all examined. Part Four is a foray into the arts of self-sufficiency. I did not see anything that struck me as novel in this section, except for perhaps recipes that feature "stored" food. The author recommended several other books for more reading, such as the Ball: Blue Book of Food Preservation. I highly recommend this book for anyone. It provides easy to use advice that can be tailored to your specific situation. No one is immune from disaster, a few easy steps ahead of time could mean the difference between a slight inconvenience or major disruption...and perhaps even life and death. With all the news about government bailouts recently, I have been doing some research on U.S. government spending. I found an interesting presentation on the Government Accountability Office (GAO) website. This was part of former Comptroller General David M. Walker's "Fiscal Wake Up Tour". 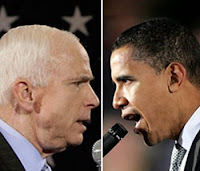 It remains to be seen if anyone in Washington (or anywhere else in the country) has awakened yet, but the presentation has some interesting nuggets of information. - As a result, we cannot simply grow our way out of this problem. Tough choices will be required. Keep in mind this was given in January - well before any of the latest financial obligations (and those that have yet to be promised) were on the books. The bottom line: current entitlement programs and tax levels are inherently unsustainable. So far, this year has seen quite a lot of troubles in the financial markets. Bank failures, forced mergers, and government takeovers have splashed the headlines. Bear Stearns, IndyMac, FreddieMac/FannieMae, Merrill Lynch, Lehman Brothers, and most recently, AIG have all had major issues. What is going on, and where will it stop? This article examines some of the underlying issues for what the author calls "the Great Crash of 2008". In effect, Americans borrowed a trillion dollars a year against the expectation that the 10% annual rate of increase in home prices would continue, producing a bubble that now has collapsed. It is no different from the real estate bubble that contributed to the Thai baht's devaluation in 1997, except in size and global impact. Last night on Monday Night Football, Eagles' rookie DeSean Jackson caught a very nice pass for what looked to be an easy touchdown. He must have been very concerned about getting started on his endzone dance, since he rid himself of the ball before crossing the goal line. One might implore to cut the young guy some slack; but as the second clip shows, he is not a quick learner. In the 2008 Beijing Olympics, Jamaican Usain Bolt was so dominant in the 100m finals, he decided to celebrate...before he crossed the tape. 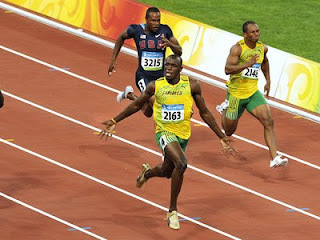 Even though he won gold and recorded a World Record; according to experts, he could have gone at least another tenth faster. In a race where the record is normally lowered in hundredths...this is unbelievable and inexcusable. In a race remembered for its unexpected and unseasonable heat, the women's finish was a case of premature celebration and inexperience. The previous year's winner, Ethopia's Berhane Adere; and a rookie, Romania's Adriana Pirtea battled the heat - mile after mile. Around Mile 22, Pirtea made a move, and separated herself by quite a large margin. As she came into the home stretch, she began to celebrate, high-fiving the cheering crowds. At the last moment, she looked over to see Adere -previously shielded from view by male runners - had closed the gap and was sprinting to the finish. By then, it was too late to respond and she had lost the race by three seconds. 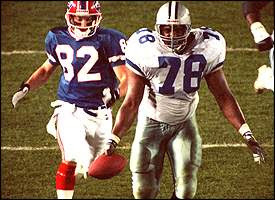 In Super Bowl XXVII, Leon Lett picked up a fumble and began to lumber down the field for a sure touchdown. 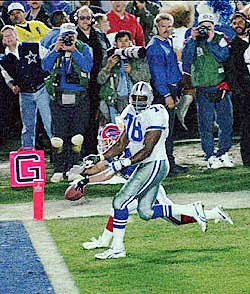 The Bills' Don Beebe did not give up on the play, and thanks to Lett's early celebration, was able to strip the ball before a score. We can probably give Leon a bit of a break, since the Cowboys already had the game well in hand; but on the world stage, his premature celebration is one that all others are measured. 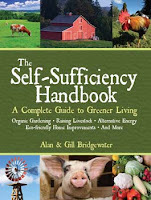 The Self-Sufficiency Handbook - and a Few "Deep Thoughts"
The Self-Sufficiency Handbook: A Complete Guide to Greener Living. Alan and Gill Bridgewater. As I have said many times before, I truly doubt the existence of a complete self-sufficiency book. While this text boldly proclaims as such in the title, I have not yet been proved wrong. 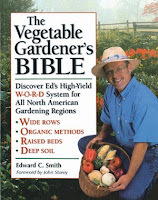 This handbook has a lot of great information, but it is rather thin...and would serve best as only a light introduction to self-sufficiency. It would not be undesirable in a library, but hardly necessary. For those so inclined, I have two superior recommendations here and here. I would not have even written a review, however the opening paragraph struck me, and I want to share it - and my thoughts - with you. When Gill and I graduated from art school in the 1960s, the whole place was buzzing with a new kind of freedom. Somehow we all felt that we could do it - meaning life - better than previous generations. I remember one evening sitting in a college common room listening to two young, hippy, American lecturers animatedly talking about how very soon we would all be forced by the failure of oil supplies to return to some sort of Amish type self-sufficiency - log cabins maybe, horses rather than cars, communes where groups of like-minded people pulled together to create a better society - and it was very exciting. As they saw it, and as whole swathes of people saw it, our consumer society was living off the fast shrinking capital resources of the earth. Their thinking was that ever since the start of the industrial revolution we had been taking and dumping: taking the coal and dumping the waste, taking the oil and dumping pollution, taking the goodness from the soil and leaving it barren, cutting down trees, and so on. First off, my gut reaction was, "Man, people really have been screaming, 'The end is nigh!' for a long time." Maybe all the people screaming about it now really are full of it, too. Maybe peak oil and global warming are not that big of a deal...and if they are, maybe they are decades or centuries away from affecting us. Then, that little seed of doubt creeps back in. Perhaps the hippies back then were right all along, just off in the time frame. My mind continues to file through all the evidence that I have complied during the short amount of time that I have concerned myself with such matters. Yes, peak oil must be real, and the while the time frame is up for debate, the one that I have settled on is definitely within my lifetime, or at least the next generation's. Global warming is a challenge that I have yet to tackle, and I am not a climatologist. I will have to default to the consensus of current scientific opinion and Al Gore. I fear that it is real, it is man-made, and due to the Tragedy of the Commons, it may be inevitable. The time frame on climate change is very much up for debate as well, due to its extremely complex and variable nature; but if you watch the Discovery Channel, you know it is coming pretty soon - and will not be pretty. So, the long standing cries from environmentalist and other scientists may have been 'spot on' the entire time. Perhaps it was the relevance time between the earth's geologic clock and the 24-hr news cycle that has caused the disconnect. And ultimately, the fable of the "Boy Who Cried Wolf" seems rather fitting; and rather disturbing, considering the end result. These are the two extremes I continue to wrestle with. And as I have argued in the past, few things in life are black and white. For my own benefit, (and hopefully yours) I will continue to attempt to search through the gray area. Depending on the source, you can get pretty good (and bad) arguments from both sides. There are folks with full time jobs that research these issues, as well as those that literally devote their entire lives to finding the truth. How can the layman be expected to sort through it all? I suppose all we can do is just continue to plug along; hoping for the best and preparing for some version of the worst. My beautiful, loving wife happened upon an episode of an interesting show called "It's Not Easy Being Green", on the Sundance Channel. According to their website, the first season shares a family's quest to become self-sufficient and more environmentally aware. In the second season, they help others with eco-friendly projects. The first episode I saw was from the new season (Episode 6, I believe), and featured a wide range of projects. One trendy couple installed a new passive solar water heater on their fixer-upper, but ran into problems due to a historic district zoning board. Another group put up a small wind turbine. The guys also built a smoker from a 55 gallon drum and smoked some cheese. I was a bit concerned about what type of chemicals were originally contained in the drum. They burned a rather large fire to decontaminate it, but I would still be leery. The final project involved setting up a small field for pigs; complete with shelter, water and an electric fence. The pigs provided a dual purpose - obviously they can be used for meat -but they also till and fertilize the land. The former pig pen can make a great garden the following year. And it was rather humorous to see them eating sausages at the end of the show. I found the show to be rather funny and informative, and I fully recommend searching it out. It has definitely found a place on my DVR; hopefully I can catch up on past installments. I'd be interested to hear from anyone else who is familiar with this. Are there any specific episodes I should look out for? My loyal readers may remember this post where I highlighted the American Farmland Trust. They are running a "Friends of Farmland" blog contest through the end of September, and I would love to be included in their next newsletter. So, if you don't mind, dear reader, please follow the bucolic little scene on the left toolbar or the apple in this post, and check them out. You can get the free "No Farms, No Food" bumper sticker, or a Farmers' Market tote bag for a small donation. Also, check out their listings of Farmers' Markets in your area as well as the article "7 Ways to Save Farmland". I think they are a good cause...for anyone who enjoys eating. Thanks! I have been testing the Nike+ Sport Band with varied success. The trendy wristband with clock and digital read out is very user friendly and barely noticeable while running. Just unplug your wristband piece and pop it into a USB port on your computer and your workout is uploaded to the Nike+ homepage that tracks your mileage. The cost ($60) is very reasonable. Overall, I've been rather pleased with the Nike+ Sport Band. Has anyone else used this or higher end devices such as Garmin? CONCLUSIONS: Sucrose and HFCS do not have substantially different short-term endocrine/metabolic effects. CONCLUSION: There was no evidence that commercial cola beverages sweetened with either sucrose or HFCS have significantly different effects on hunger, satiety, or short-term energy intakes. Do you avoid HCFS? Perhaps avoid all simple carbohydrates? Maybe you eschew carbs altogether? I'd love to hear your thoughts. Here is an interesting article chronicling a family of four's attempt to eat for a week, spending only $100. With increasing energy and food costs, this may be harder than ever. I know our family has been attempting to lower our overall costs, and food is one area that is up for examination. One must balance thrift with health, however, and eating only mac and cheese and mayo sandwiches is not advised. - "Americans are obsessed with protein, but it's the one nutrient we actually get too much of"
- "The most inexpensive snacks are also some of the healthiest"
It should be noted that as Americans, we recently have spent less of food as a percentage of household income than ever in history (less than 10%). Even with recent increases due to higher energy prices; we still spend relatively little on food. Compared to the rest of the world, this number is high on absolute terms, though. A main reason for this is the large amounts of processed and convenience foods that we eat. Pound for pound, prepared and processed foods cost much more than 'real' food. If one factors the time involved in preparation, some packaged foods may come out ahead economically, depending on your salary. This says nothing about the nutritional value, however, and the increase in quick food has a strong correlation to our expanding waistlines. As the article notes, some fresh vegetables did not fit in the super-econo budget. (Organics are even pricier) But as it also noted, this was a budget that was under a poverty level. By substituting many name-brand, convenience, and packaged foods with whole, healthy ones, American's could cut our food budgets by large amounts and our middle sections as well. Another idea: adding a prolific back yard garden could help your wallet and waistline, also. A good site for further reading: food related economic data. 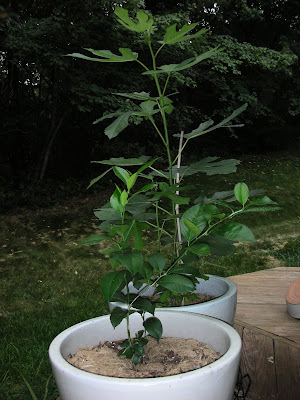 I planted a dwarf fig and lemon tree back in June. I thought I would show some pictures of their progress. 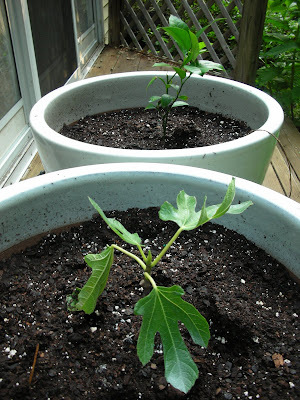 Both have grown quite a bit, but the fig tree has been especially prolific. 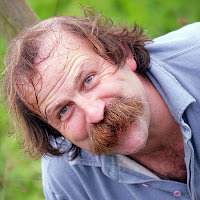 One of the recurring themes in many of the gardening books I have reviewed is the importance of good soil. I have slowly realized that the lack of this may be causing some of the issues in my garden. The soil around my house is primarily clay and rocks. It is actually amazing anything can grow in it. Before the arrival of some new plants this fall, I thought I would prepare a double-dug raised bed. This is a step-by-step account of the process. Step 1: Build a frame and position in place. This frame is constructed from three 8 foot 2"x8" planks, with some 2"x4" sections in the corners for bracing. The bed will be approximately 4'x8'. Mark around the frame to highlight the outline. You can use flour or just scratch with a shovel. Step 2: Remove sod. This can be saved, turned over, or composted. Since I am planning on planting soon, I opted to add it to the compost pile. Step 3: Now for the double-dig. First remove a trench of soil and set aside on a tarp or wheel barrow. Then till the bottom of the trench with a garden fork or other handy tool. Step 4: Repeat this process. This time take the soil from the new trench and lay it in the old trench. Attempt to keep the soil "right side up", as generally the soil farther down is of lesser quality. Step 5: Continue this process for the entire area. Use the soil that you removed from the first trench to fill in the last one. Here are some of the rocks that were removed. It really was crappy soil. Step 6: Add organic material. This is a wheelbarrow of leaf and grass compost. Step 7: Use the same tilling tool to finish breaking up the soil and incorporating compost, topsoil, manure, sand, vermiculite, and/or other amendments, depending on what your soil requires. Step 8: Reposition the frame and continue to add soil amendments until the bed is a few inches from the top. The raised bed is now ready to plant.